I think STEM gets a bad reputation in terms of teaching and learning. Many envision a science lecture and immediately mental images are conjured of multiple choice scantrons, long lists of taxonomic groups, and probably a balding professor with white beard and tweed jacket droning on in front of hundreds of students. Creativity is stifled because facts are facts and there is no room for interpretation. I read But You Can’t Do That in a STEM course! and the many public annotations. I found myself writing and deleting comments and having a hard time putting my thoughts into words. As a biologist and someone who teaches the very same topics described in the article, I felt I needed to defend the way we do thing. The more I read and the more I re-read, I realized that maybe each teaching strategy is being viewed as if the entirety of the course if being taught that way. I have never taken a course where the professor stood up and just told me to memorize a list of items or that this sequence of topics is the only way to learn the material. As a wildlife geneticist I have had to memorize countless species names, structures, and biological processes “including all of the details of atomic structure, bonding, molecules, chemical properties, macromolecules like DNA, RNA, protein structure and function, cell structure and function, DNA replication, transcription, translation, cell cycle, etc.” But this was just one part of the learning process, and it wasn’t until I had an unexpected disconnect from the digital world that I was able to piece together some thoughts. 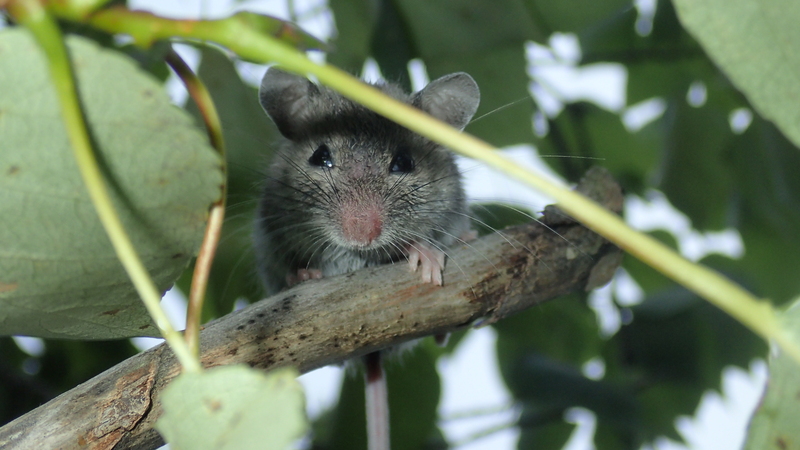 Long story short, I was in the field with some students catching mice to estimate population size and doing a general biological inventory of the surrounding habitat. I was able to access mobile internet the year before but something was different and I could barely make voice calls. Oh and I was on an island 8 miles into the bay – but we did catch some cute critters. Hiking about 8 miles a day gives you a lot of time to think and thoughts to rattle around in your brain. Open pedagogy, OER, rote memorization, inspiring lifelong learning… a little of that annoying song that wont get out of your head… that is what I thought about over several days. Turns out I was already engaging in open pedagogy through directed research. My students develop research questions and together we teak and existing project or create a new one to answer the question. My student likes birds, reptiles, amphibians, mammals? Well we don’t offer those courses (yet). I don’t know if you’ve ever done a biological inventory but it basically means hike around and ID whatever you can and use a field guide for whatever you can’t. Make notes about your observations, measure this, count that… it goes on. In way we were very much taking the same approach in Robin DeRosa’s My Open Textbook: Pedagogy and Practice and allowing the students to fill in the gaps, learn the basics, and hopefully leave with an appreciation for the subject matter and desire to learn more on their own as we go through the scientific process and ultimately publish a report. Did this happen? Maybe. I could run this same study as a full semester course taking the same approach. Would the students leave as experts in wildlife and biodiversity? Probably not. At best they would be able to identify the species, behaviors, and environmental characteristics specific to that one environment. They may go off and try to learn more on their own but I have woefully underprepared them if they are to apply this in anything other than a mixed hardwood forest in Door County. Here is where I make my connection to the title of this blog. To say one thing is better or worse than another is like opening your tool box and saying a hammer is antiquated and you can’t just hammer everything to get the job done. Things hammered together are just going to fall apart in a short time. The reality, sometimes you need to hammer something together and sometimes you need to glue. Sometimes the job is done by a saw or some specialty tool. Pedagogy has to be the same. If my students had taken the time to memorize the calls of different birds, or the phylogenetic relationship among amphibians (literally just lists of things) then I could have better explained animal behavior or they could have asked better questions about ecology rather than “Dr. Brandt, what is this critter?” There is a time for rote memorization, and that shouldn’t be a bad thing. There is a time to allow students to take a topic and work through it backward, forward, sideways, or however they want. Sometime you need to cover topic in a specific order so you know the basics and can apply them in more complex situations. We are the expert in these fields and we teach in that order, not because it is the only way, but because it is the most effective way to lead a novice through very complicated subjects. You start with molecules and bonds so that the student can not only grasp more complicated topics but to give them the tools necessary to make connections to new topics. If my student understands atomic structure and bonding first then they’re going to understand transcription and translation, which means they’re going to understand what it means when this cancer is caused by the overexpression of a particular gene but another cancer is caused by a failure in cell death signaling. I could even throw a hypothetical cancer into the mix and we could discuss how breakdowns in those basic processes will lead to the development of a tumor. I once had a conversation with a colleague about the future of education. He was convinced open learning platforms like Coursera would eliminate the need for us professors and brick and mortar institutions. I told him I wasn’t worried for the same reasons as above. All of these digital resources or only effective when applied in the right situation. As my students learned this past week, field work is hot, mosquito bites hurt, mice do not cooperate, and keying out trees is not that easy. They couldn’t learn this in an open course; however, there are courses like R programming, or bioinformatics that I would (and have) encouraged my students to take to augment the skills they gain here. I guess pedagogically speaking that makes Google search essentially duct tape.